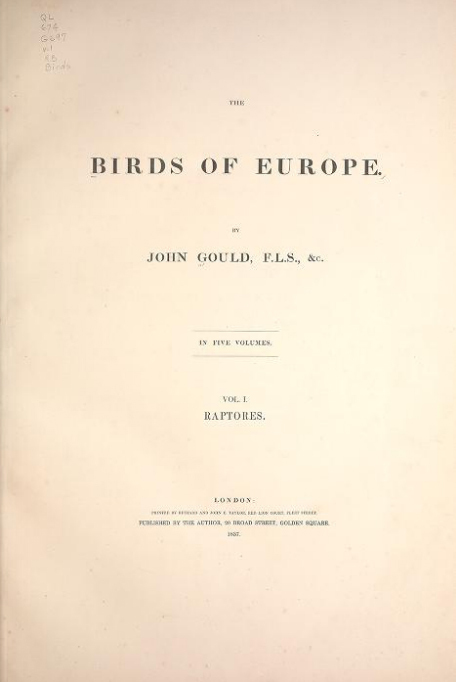 Gould J. Birds Of Europe. London: Printed by R. and J.E. Taylor, pub. by the author; 1837: Vol. I.